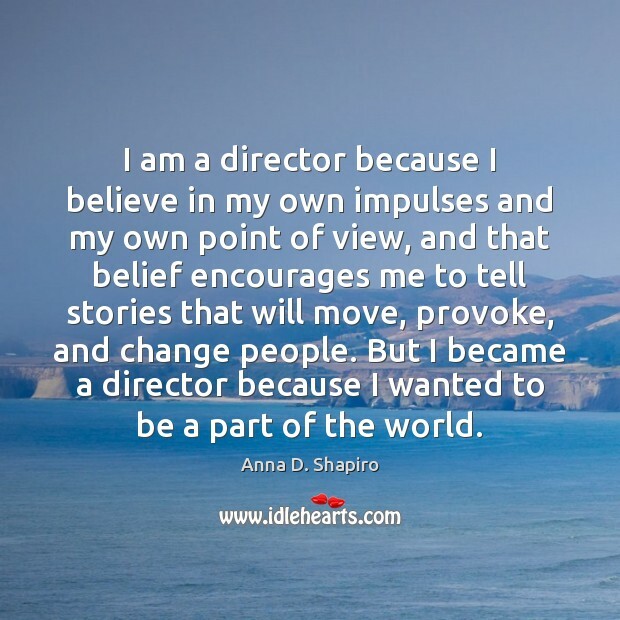 Enjoy the best inspirational, motivational, positive, funny and famous quotes by Anna D. Shapiro. Use words and picture quotations to push forward and inspire you keep going in life! 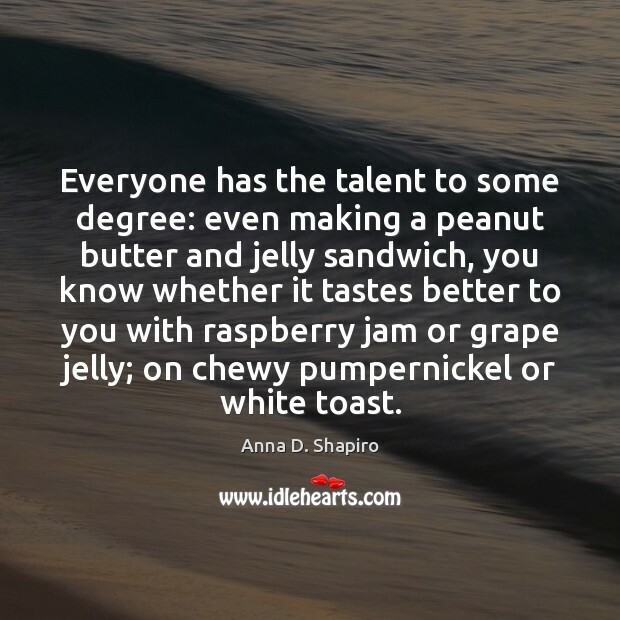 Everyone has the talent to some degree: even making a peanut butter and jelly sandwich, you know whether it tastes better to you with raspberry jam or grape jelly; on chewy pumpernickel or white toast. Amy Morton is a machine. 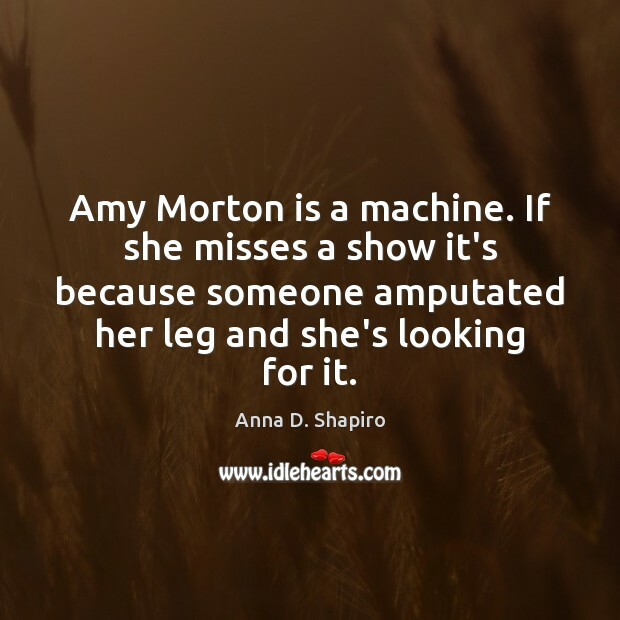 If she misses a show it's because someone amputated her leg and she's looking for it.